Is print marketing dead? Nope, it’s actually quite far from it. Print marketing is making a comeback in a big way and we will see it grow and develop in 2018. We sat down with CEO of Postayltics, Dennis Kelly, as well as CEO of GreenRope, Lars Helgeson, to discuss the true current state of direct mail, automation, data, and how businesses can integrate these mediums to leverage stronger multi-channel marketing campaigns. Some may think that direct mail peaked years ago, but this conversation convinced at those naysayers otherwise, while convincing the rest of us marketers why we MUST bridge the gap between online and offline. During today’s increasingly digital and paperless age, it may be difficult to see the value in direct mail marketing. However, Kelly and Helgeson deliver convincing evidence and statistics that prove otherwise. This conversation uncovers why marketers must bridge the gap between online and offline efforts. The mailbox is less crowded than the nbox (I think we can all agree with that). Studies have shown that on average, a business professional receives 120 emails per day and only FIVE physically pieces of mail per week. That being said, it can be much easier for a marketer to get their message across in a less crowded environment. New mail technology, like Postalytics, drastically improves the experience on both the sides of the marketer and the recipient. In combination with using data from our CRM and marketing automation platform, we can more accurately target leads and customers. There is far less waste than before. No more of those mass mailings that we simply take from the mailbox to the fireplace. Companies like Postalytics have made massive investments in digital print equipment which give marketers the power to quickly and easily create powerful, beautiful, and effective offers. This drives messages and calls-to-action that are MUCH more relevant and personal. Studies have shown that consumers (an overwhelming 56%) trust direct mail more so than their digital counterparts. Along with that, recent research shows that printed advertisements are easier (21% easier) for our brains to process and understand, and lead to much higher recall (70%) than digital ads. Key Takeaway: Direct mail works. If you are looking to break away from the noise and generate a higher ROI, it’s time to explore incorporating Direct Mail with your marketing strategy. Integrate your systems together to create improved and more streamlined experiences. CRM is a must and as we have seen by the arguments above, so is direct mail. But what happens when you don’t use the two in tandem? Waste. Use a CRM that integrates directly with your direct mail provider. If not, you won’t be able to segment and personalize your outgoing messages. You will just be stuck with plain old mass mailings, which is why people stopped using this medium in the first place. Personalization and timing is key. The only way to do that is with integrated CRM and direct mail. We know that content is king, but let’s not forget about data. In today’s environment, data drives strategy. It drives (or at least should) drive your marketing, sales, customer service and more. Without data, how do we know who our audience is, who we’re targeting, and what’s working? We don’t. Data is power. Just like digital runs on data, so does modern-day direct mail marketing. The technology we have in place allows us to target our messages to the right people, personalize the messages they receive, and of course, track our results. For example, with Postalytics you can track when a message was delivered and direct the recipient to a specific, trackable URL or PURL (personalized URL). Tracking capabilities keep businesses from wasting money on ineffective efforts. I’d say we all want to accomplish that! Never forget about lead scoring and predictive analytics. Both are pretty new, so how could we? But you’d be surprised, a lot of businesses aren’t taking advantage of these powerful tools. Again, you will need integrated an CRM and direct mail platform to get started. To track the tactics that directly correlate to engaged leads, customers, and ultimately conversions -you should be scoring each activity/effort within your customer journey. If a new lead receives a postcard and visits a PURL prior to their conversion, , you must be able to attribute those actions to that conversion. As these series of events occur more frequently, the better a predictive analytics tool can determine which leads are most likely to convert based on these behaviors. Lead scoring is quite similar and usually builds into your predictive analytics strategy. Key Takeaway: Invest into a CRM that integrates with a top-of-the-line direct mail platform like Postalytics. This way, you can not only use data to segment and personalize your direct marketing efforts, but track them as well. Direct mail automation means having the ability to automate...yes, automate your direct mail efforts. Just like marketing automation, you can send timely, triggered messages to leads and customers when they need it. Onboarding: Did you sign a new client? Great! Send them a thank you note or a welcome letter to help them get started with their new product/service. Customer Anniversaries: Reward your customers with a thank you and a special offer when they have been loyal to your brand. Once they’ve reached a specific anniversary, automatically send them a direct mail piece with their special gift. Re-engage Cold Leads: Leads going cold? Email follow-up not working? Direct mail automation has your back. Trigger a special offer postcard to go out when an old lead drops below a specific lead score threshold. Automate to re-engage. Another way of doing this is triggering a postcard when an old lead re-visits your website. Watch the video below or click here to listen to the audio to learn more about how you can get started with Direct Mail Automation. 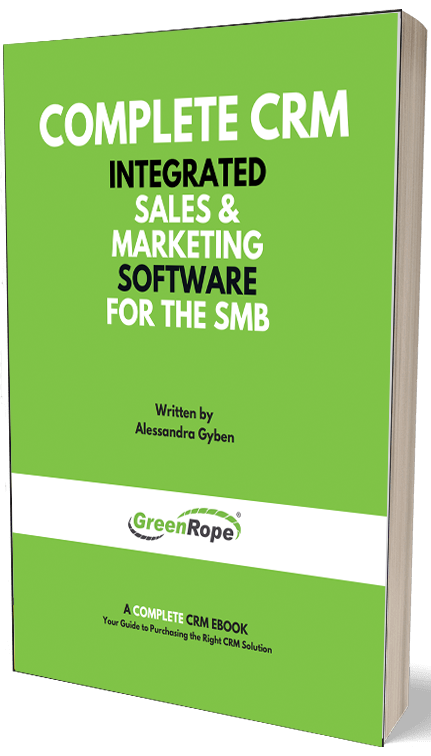 Are you a GreenRope user looking to get started with Direct Mail Automation? Great! We are so excited to help. See below for instructions on how to set up this integration by using Zapier. If you haven’t already, make sure you have setup a GreenRope account. Set up your Postalytics Account. Finally, create an account with Zapier. Once your accounts are all setup and ready to go, you will need to create your Zaps - these are triggers you create within Zapier. Login to Zapier and search for “GreenRope” and “Postalytics” in the search bar. A list of Zaps will appear, select the one that you want to create. With the Postalytics Zap, the Zap triggers when a New CRM Activity is added within GreenRope, so you will need to associate the mail piece with a GreenRope CRM Activity. Once you have saved your Zaps in both GreenRope and Zapier, you should be ready to go. Click here for more information on creating direct mail pieces in Postalytics.